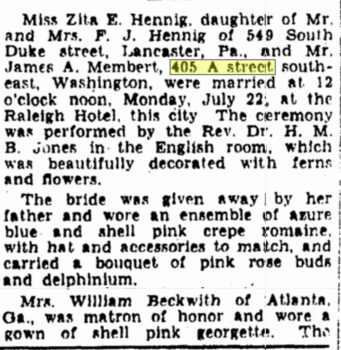 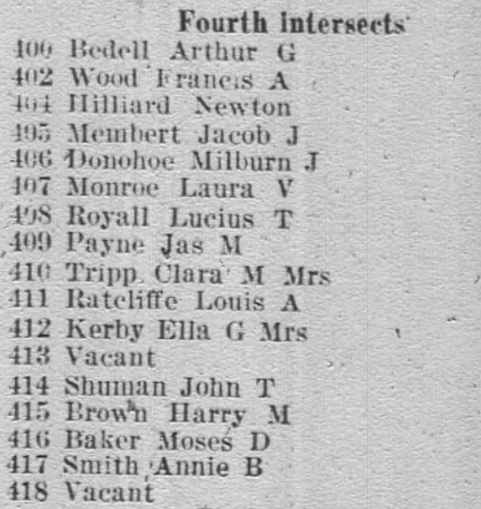 “Deaths.” Washington Evening Star, 30 July 1940, p. 8. 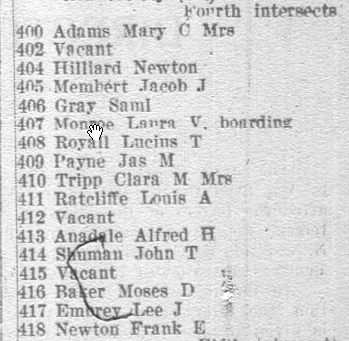 Federal census, 1940, 405 A Street, SE, Washington, D.C.
Charles K. Memberbt (owns, $7,500), head, 41, completed 11th grade, b. in D.C., lived in same house in 1935, electrical engineer, Navy Yard, income $2,600. 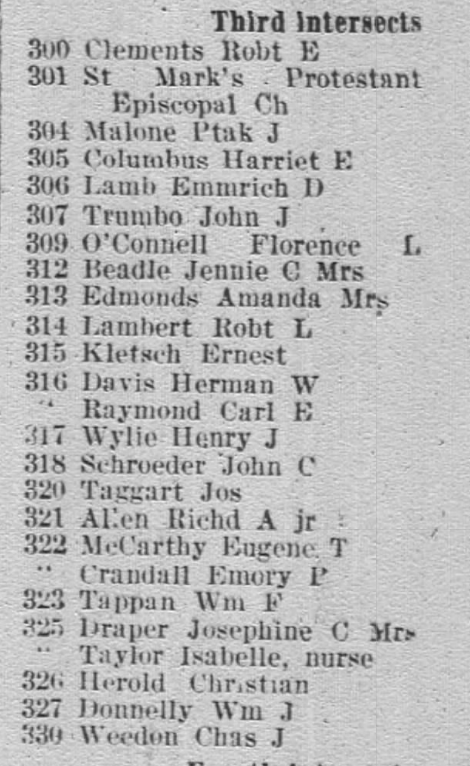 Rose C. Membert, wife, 36, completed 11th grade, b. in Md., lived in same house in 1935, saleswoman, cosmetic company, income $125. 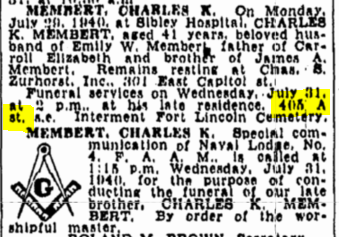 Carol E. Membert, daughter, daughter, 5, b. in D.C., lived in same house in 1935. 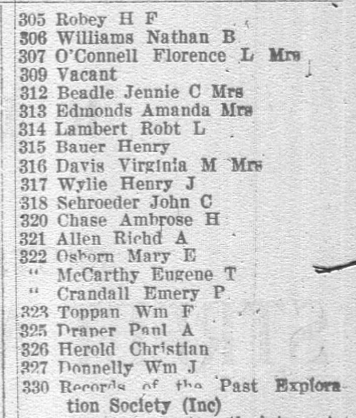 Dorothy E. O’Malveny, sister-in-law, 32, divorced, completed 1 year of college, completed 1 year of college, b. in D.C., lived in Corpus Christi, Tex., in 1935, vari-typist, Department of Agriculture, income $1,500. 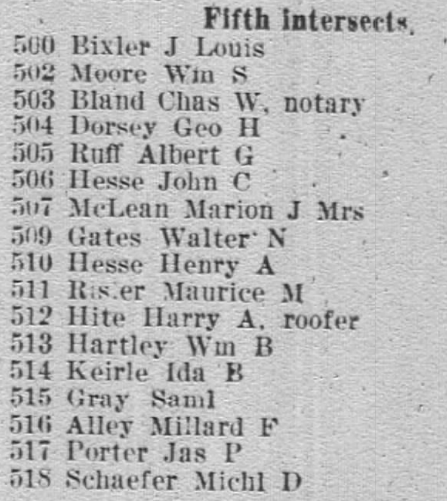 Alva H. Dobson, lodger, 51, completed 12th grade, b. in Md., lived in Greensboro, Md., in 1935, auditor, government, income $1,800. 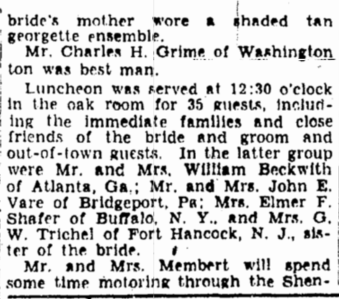 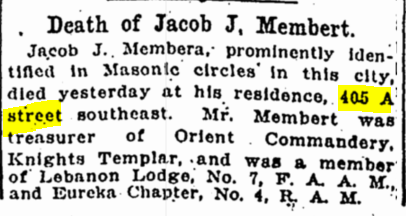 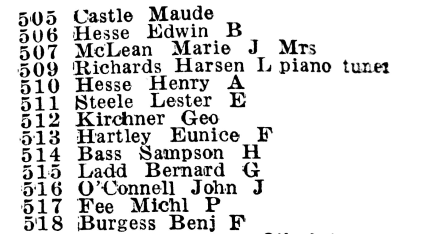 Washington Evening Star, 28 July 1929, p. 40. 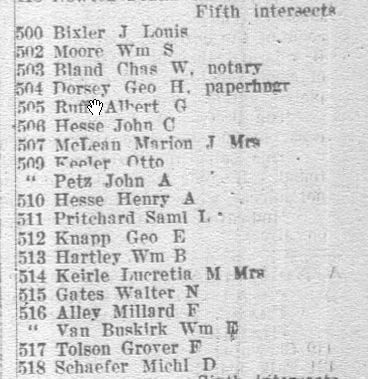 “Income Tax Returns Paid from District and Vicinity.” Washington Evening Star, 8 September 1925, p. 23.